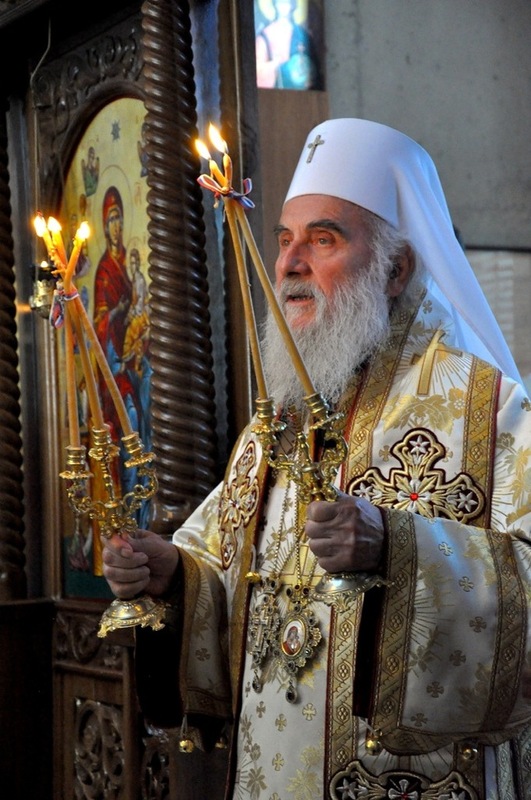 Vancouver, British Colombia - On Saturday, June 13, 2015 His Holiness Patriarch Irinej, administrator of the Diocese of Canada, arrived in Vancouver, British Columbia. Vancouver is the largest city in the western part of Canada, and the largest and busiest port is found in this city. 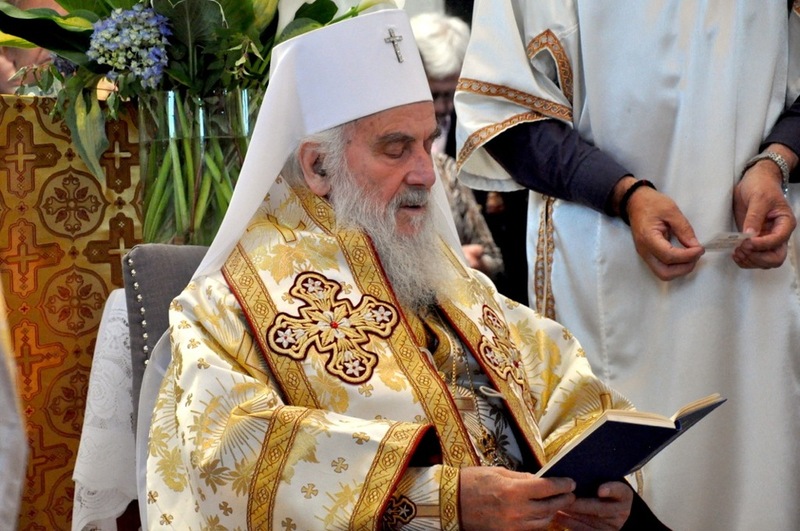 His Holiness Serbian Patriarch Irinej was welcomed by a large number of faithful and clergy at the airport. 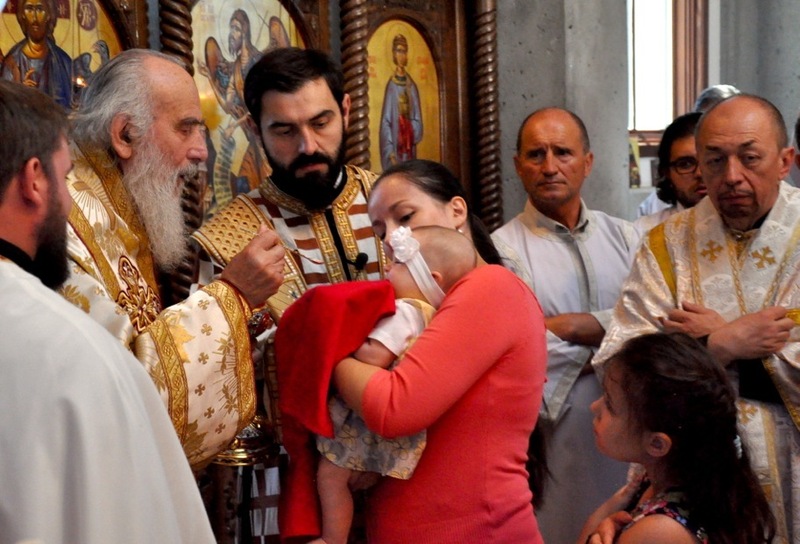 Long time parish priest in Vancouver, V. Rev. 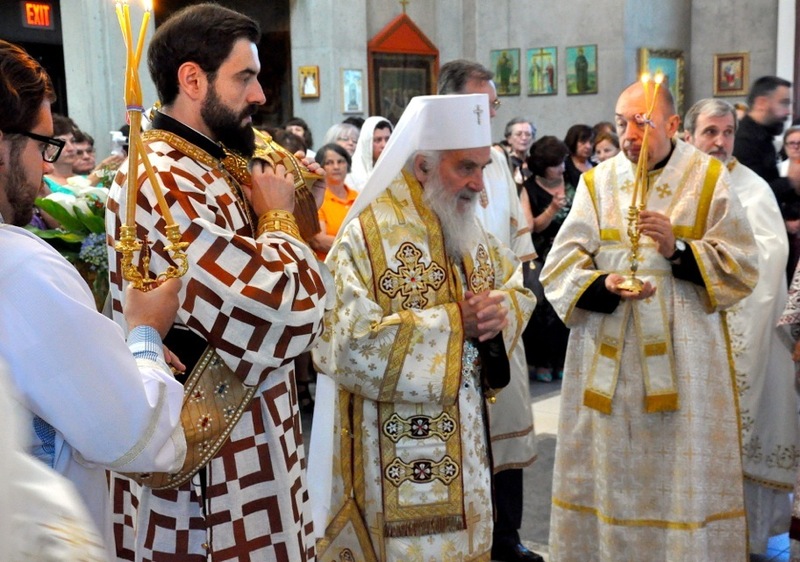 Stavrophor Miroslav Dejanov, and V. Rev. 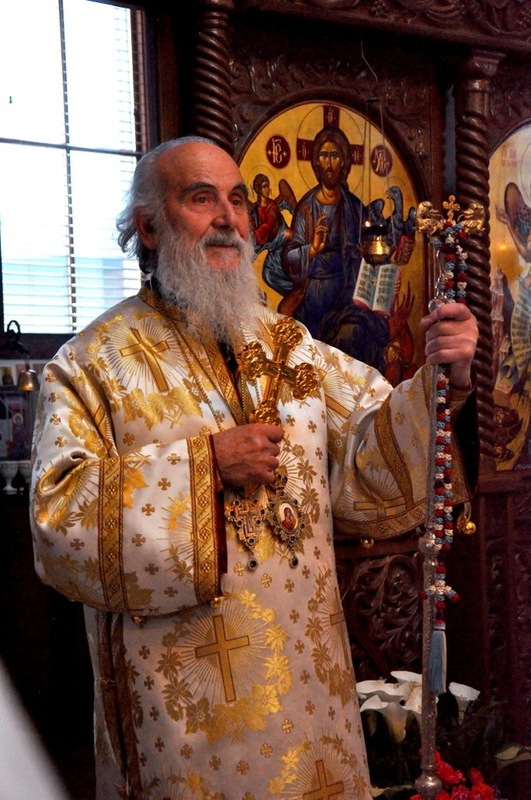 Malis Milovanovic, parish priest of St. Archangel Michael in Vancouver, V. Rev. 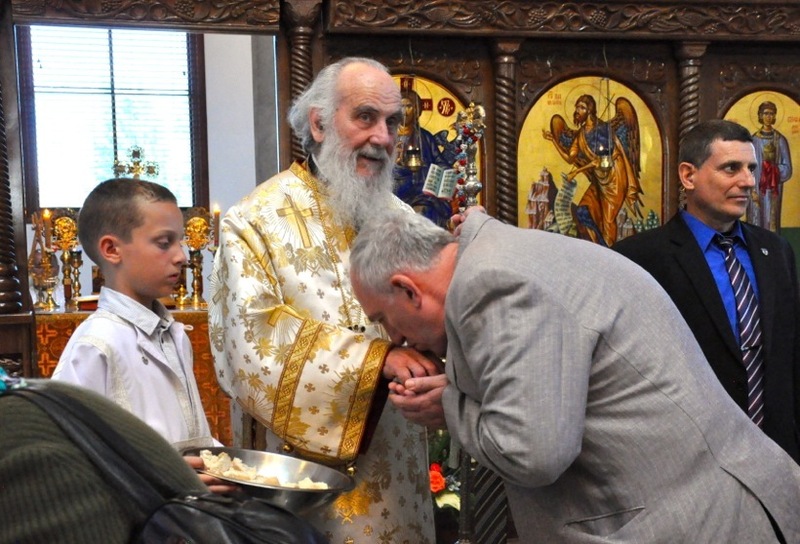 Stavrophor Drago Knezevic and Fr. 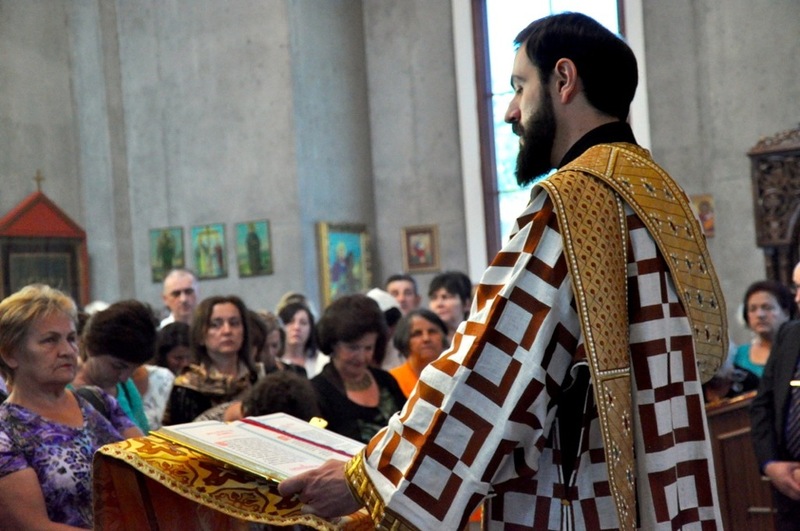 Marko Radmanovic from St. Sava in Vancouver. 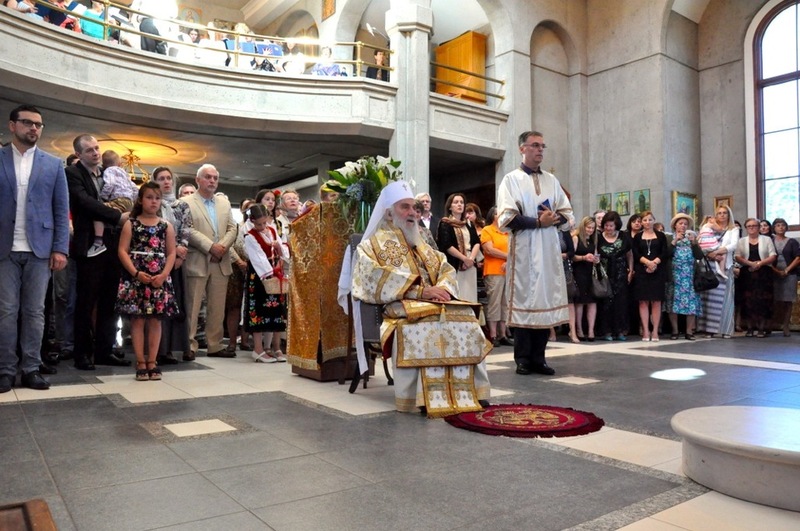 Accompanying His Holiness were the Episcopal deputy V. Rev. 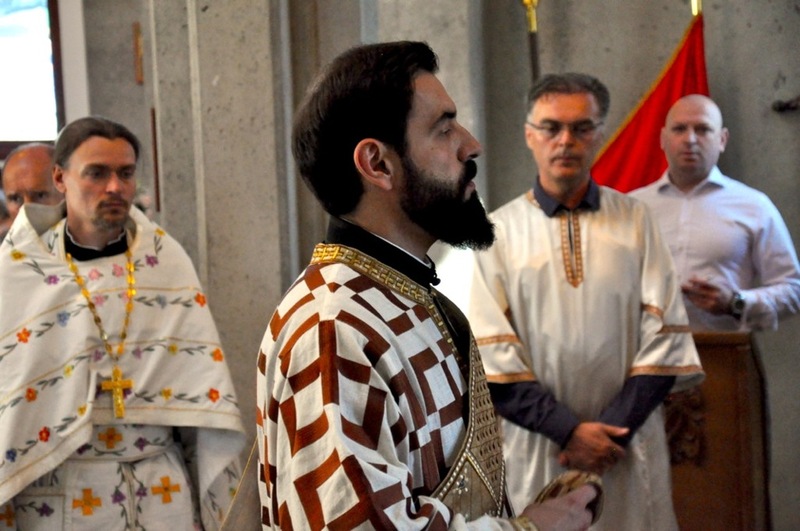 Stavrophor Vasilije Tomic and Protodeacon Damjan Bozic and Milan Lesic, president of the St. George church-school congregation in Kitchener. His Holiness spent the rest of the evening with the clergy. The conversation was cordial and filled with understanding in regards to the new situation. 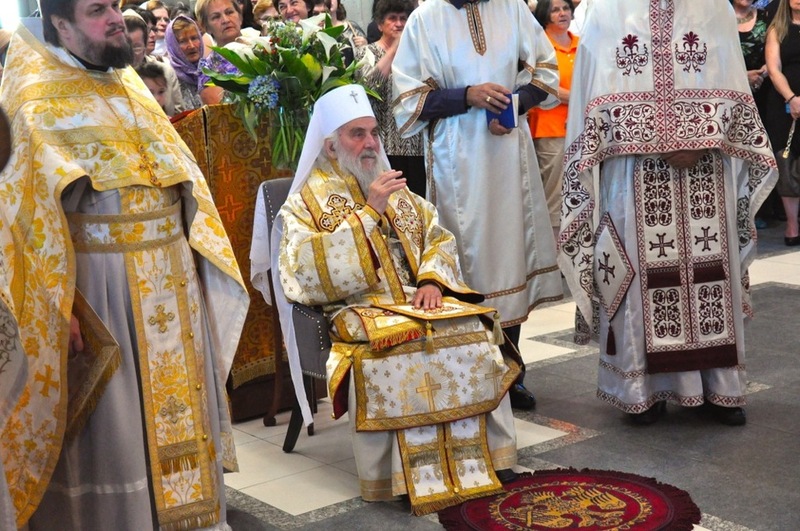 On the following day, Sunday, June 14, Patriarch Irinej served the Holy Hierarchical Liturgy in the newly constructed and beautiful St. Archangel Michael Church. This church-school congregation was founded in 1953. 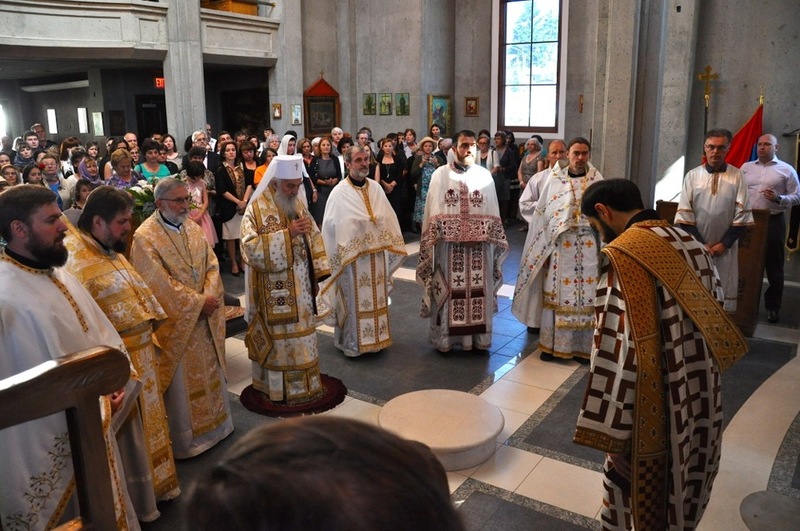 The first place of services, the chapel, was blessed by Bishop Dionisije in 1955. 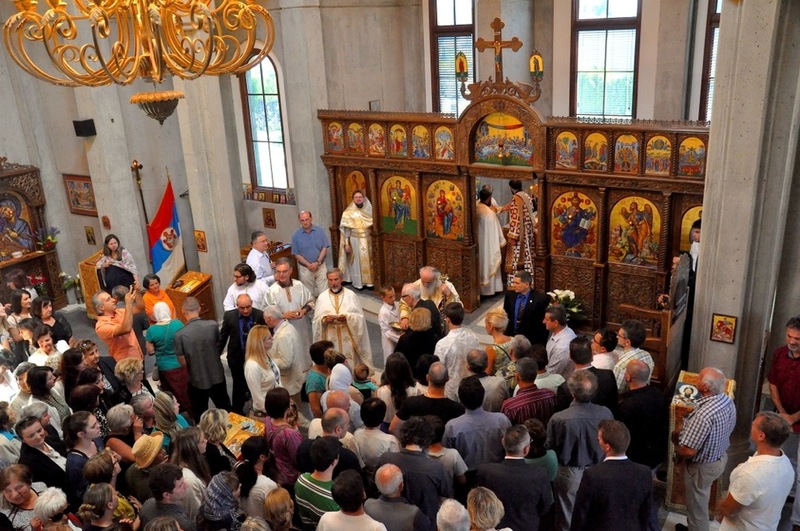 Bishop Longin gave his blessings for the construction of the new church in 2002 when they received a building permit. The magnificent church was built in record time. 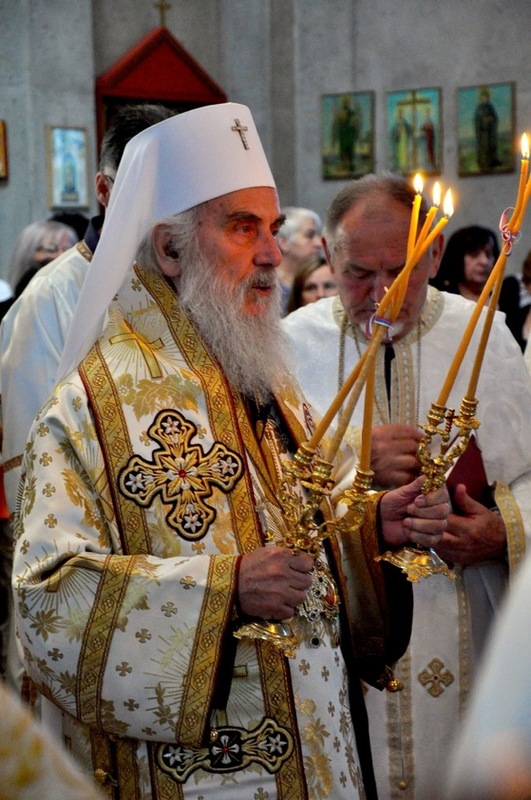 Metropolitan Amphilohije and Bishop Longin consecrated the church in 2005 with the concelebration of many clergy. 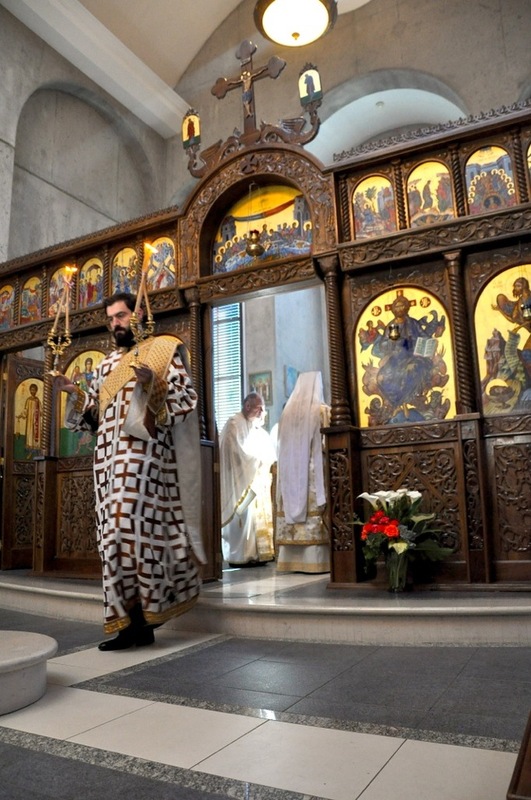 The beautiful wooden, carved iconostasis was done at Monastery Tvrdos. The iconography on the iconostas was done by Mirko Toljic, dean of the Art Academy in Nis. The church is decorated with three mosaics: Christ the Savior and St. Archangel Michael and a third one above the doors at the entrance to the church of St. Archangel Michael. 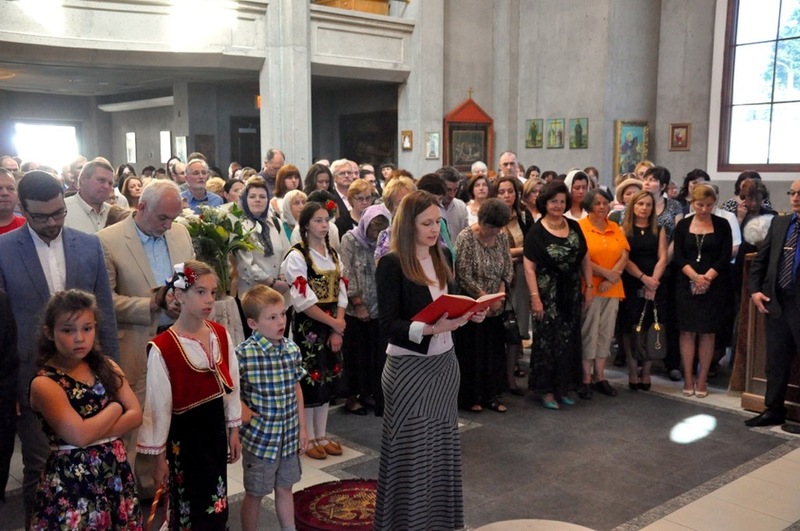 The Church Choir "Obilic", the Circle of Serbian Sisters "Kosovska Devojka", the Serbian National Defense, Folklore group "Mlada Srbadija" and soccer team "Beli orlovi" are all auxiliary groups of this parish. The church also has a rich library.